In a display of solidarity that united immigration activists, laborers, and business groups, hundreds marched through the hot streets of Washington D.C. on Monday afternoon to commemorate May Day. May Day has been historically reserved to draw attention to the global plight of laborers. However, this year’s events sought to draw attention to the frequently intersecting realities of low income workers and undocumented immigrants. Hundreds of activists held a rally in front of the White House and articulated a particular demand of the Trump administration: stop detaining and deporting undocumented immigrants as they are the same workers that feed, work and contribute to this country. For undocumented workers struggling to maintain their livelihood under this administration’s harsh policies, this May Day presented the perfect opportunity to speak out. 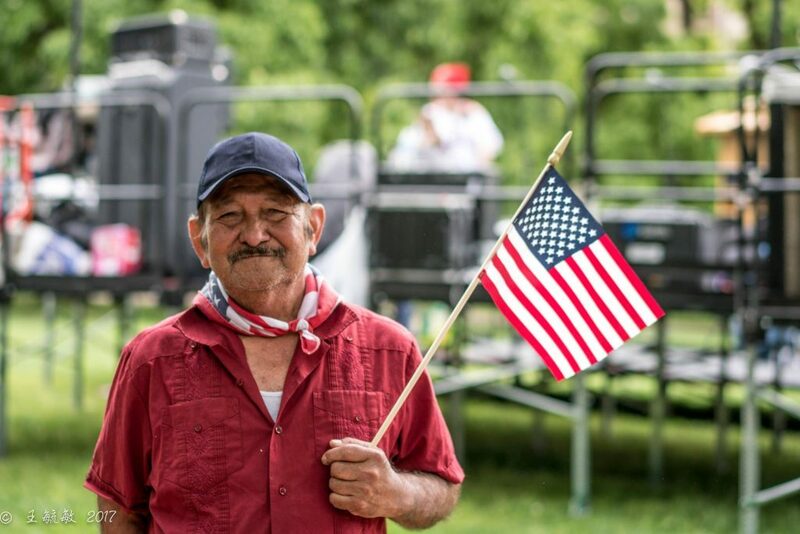 Advocates fear, however, that the president’s harsh immigration policies will impact immigrant workers and families, and ultimately the well-being of the rest of the nation if he moves forward with his punitive deportation goals. Monday’s nationwide rallies coincided with congressional approval of the government’s budget to end this fiscal year. Included in that spending deal is $1.5 billion dedicated solely to immigration enforcement—a portion of which will fund nearly 40,000 detention beds for immigrants. This is particularly troubling given the fact that recent data demonstrates shows the administration is rounding up undocumented workers who present no public safety threat at all. Despite the grim outlook, protestors and speakers stood their ground and stressed that America would be lost without immigrants.